Home prices and mortgage rates are not only impacting affordability for first-time homebuyers, but also for homeowners looking to trade up according to the latest CoreLogic Home Price Index (HPI) and HPI forecast released on Tuesday. The report indicated that for August 2018, home prices rose 5.5 percent on a year-over-year basis and by 0.1 percent from July 2018. It forecasted that the HPI would continue to increase by 4.7 percent year over year to August 2019. Mortgage rates have also resulted in a slackening of demand as well as the slowing of home appreciation, according to CoreLogic. Analyzing the housing values in the country's 100 largest metropolitan areas CoreLogic's Market Condition Indicators (MCI) found that 38 percent of metropolitan areas had an overvalued housing market in August while 18 percent were undervalued and 44 percent were at value. 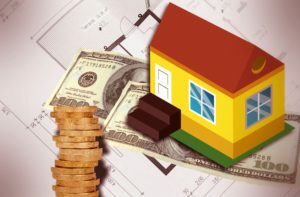 Looking at the top 50 markets based on housing stock, the MCI revealed that 46 percent of the markets were overvalued, 12 percent were undervalued and 42 percent were at value.